Water-based Urethane is a clear, non-yellowing finish. Water based products have no harmful fumes and contain low VOC’s. These finishes dry faster and have less environmental impact than solvent based finishes. Like Oil-Modified Polyurethane, this is a surface finish which can have a stain or sealer applied over bare wood and followed by multiple finish coats. This product is also available in Satin, Semi-Gloss, or a Gloss Sheen. Unlike Oil Modified Polyurethane and other solvent based finishes, Water-Based Urethane will not yellow or “amber” as it ages. Solvent based surface finish which typically has a sealer or stain applied over bare wood and then has multiple finish coats applied. This finish will yellow or “amber” as it ages. This finish is available in Satin, Semi-Gloss, or a Gloss Sheen. Solvent based finish which soaks into the grain of the wood and penetrates the pores. This finish can have a stain applied and typically produces a low sheen. Some penetrating finishes can be maintained with solvent based waxes which are buffed into the floor. Typically a low sheen finish which is very durable. 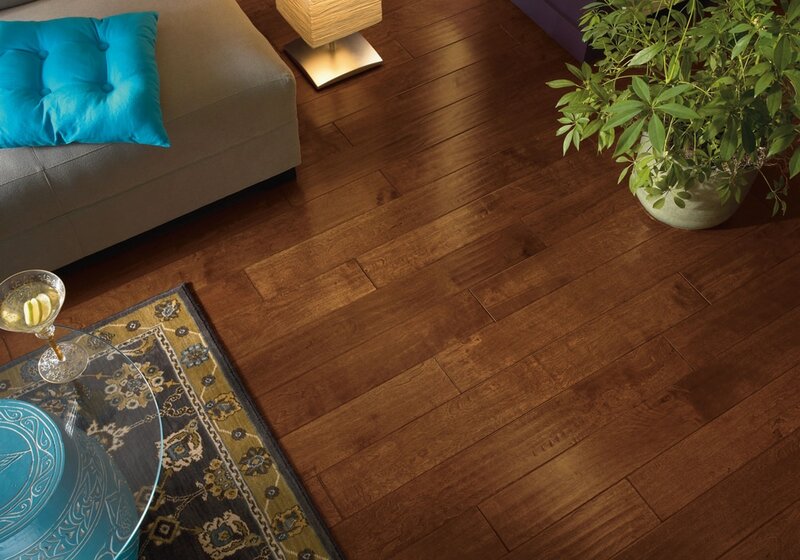 A type of finish used on hardwood to protect it from damage. Polyurethane finishes do not require waxing. This product is added to the finish to create a very durable, superior resistance to prevent surface wear-through. Liquid acrylic (and stain) injected throughout the surface layer of wood to fortify the fibers for added durability.